Hiring. Maybe the word alone is enough to give you an overwhelming amount of stress. Maybe your company is in an enormous growth phase and is needing to undergo more hiring than ever before. Or maybe you’ve just hired the employees you need, simply happy with the strengths of each individual. Regardless of the situation, it’s never an easy task finding that one special person who you feel fits the role like a glove. LeadManaging has learned one important thing in the process of hiring and growing our team: proven beyond a shadow of a doubt, hiring quality employees, rather than a vast quantity of employees, is the key for companies to experience thriving success and growth. Even more profound than the impacts made by each individual employee are the impacts made by the number of webbed relationships present within your workplace as the team grows. We bet you’ve never thought about the quantity of impacts made by the quality of one single new hire. So, how do you ensure you’re treating your next hiring process with the kind of consideration it deserves? Krista Henry, Vice President of Customer Relations at LeadManaging, explains the importance of focusing on the attitude and drive of prospective employees, and not simply on their experience or skillsets. Our team members at LeadManaging certainly reflect the importance of quality, with each individual bringing unique passions and talents to the group. From our President’s past as a two-time World Champion in Triathlon to our Client Accounts Manager’s passion for the performing arts, we are different from one another, and celebrate each other’s unique gifts and values. Perhaps you’re wondering how a past in triathlon is an asset for one running a company. Well, we believe that Darren Henry’s drive, passion for performance, and avid goal setting - certainly all vital traits for such success in athleticism - makes a huge contribution to the success of his leadership at LeadManaging. Darren leads the company with persistent motivation and support for all team members, and this stems from his ability to exceed goals, and his genuine desire to help and see people succeed. Each team member brings unique, though equally valuable qualities that, together, form a strong and unified team. It is important to uncover these types of “golden nugget” qualities from candidates during the interview process in order to truly get a sense of the type of employee he/she will be. Not only does awareness of such attributes make for special and intricate team relationships, but it allows for different perspectives on work situations, and adds variety in the formation of new ideas. What can you tell me about yourself that isn’t on your resume? How would your friends describe you in 3 words? Outside of work, do you have any activities or hobbies that you enjoy? When people come to you for help, what do they usually need help with? What do you look for in a job, and what is most important to you in terms of culture? To really utilize the skills that each of our team members possess at LeadManaging, we strongly encourage our team to set aside designated time to develop each person’s own individual skills in creative ways that contribute to the success of LeadManaging. This “TNT (Talent Time)”, is unique to the individual, making work more enjoyable, and ultimately more successful. Promoting authenticity— being who we really are— at work is so important to us, as it allows for deeper relationships amongst co-workers. A writer for the Harvard Business Review deems these impactful relationships between employees as part of “cultural fit,” or “the likelihood that someone will reflect and/or be able to adapt to the core beliefs, attitudes, and behaviors that make up [an] organization.” Research suggests that more aligned relationships with co-workers results in less turnover and stronger job performance. 1. What are the core values of your organization? Collaboration leads to better communication and performance – we are one! Every year, the LeadManaging team makes a generous donation to Oak Bridge Academy elementary school for children with special needs. This is just one example of how our company supports our local community. We really care to make a positive impact on the lives of others. In the office, we strive to support and encourage each team member, in both his/her personal and work life. One of the most important things we look for in new potential hires is their ability to encourage the success of others and themselves. 2. How much teamwork is involved in the work day? Lots! There is overlap in everything we do, which only creates better efficiencies, working knowledge, and collaboration in the office. 3. How would you define the environment of your workspace? Our work environment is collaborative, positive, fast, evolving, open, and honest. 4. What characterizes the best relationships currently present within your company? At LeadManaging, it is important that we leave space for employees to be themselves. We know how to be silly and have fun, while also being professional. We embrace each team member’s strengths, passions, values, and personalities. We guide one another and learn from one another, and understand the importance of accepting and retaining constructive feedback from every team member. When hiring a new employee, regardless of their impressive on-paper skills, the potential hire must align with your company culture. Considering the traits and qualities possessed by any prospective hire is crucial. 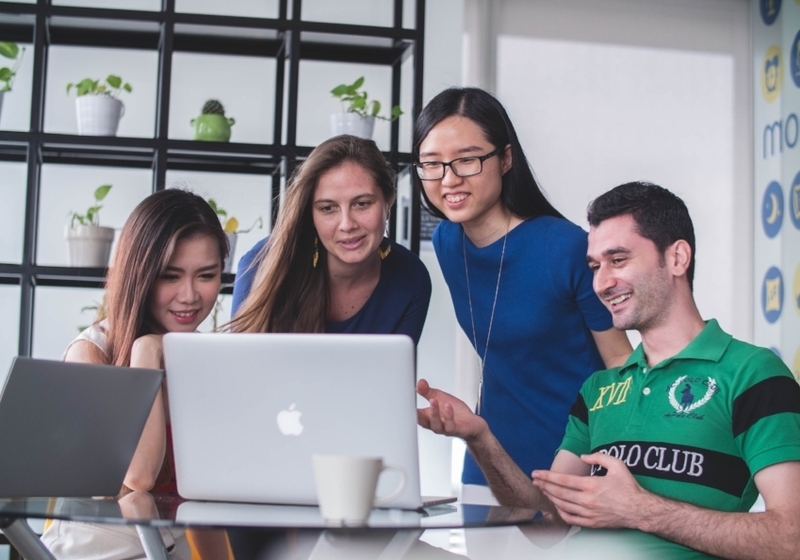 And while it may add some time to the hiring process, building a team of passionate, dedicated, creative, and undeniably unique employees will no doubt open the doors to more opportunity that will benefit the company in the long run. What does the legalization of cannabis mean for landlords and their rental properties?